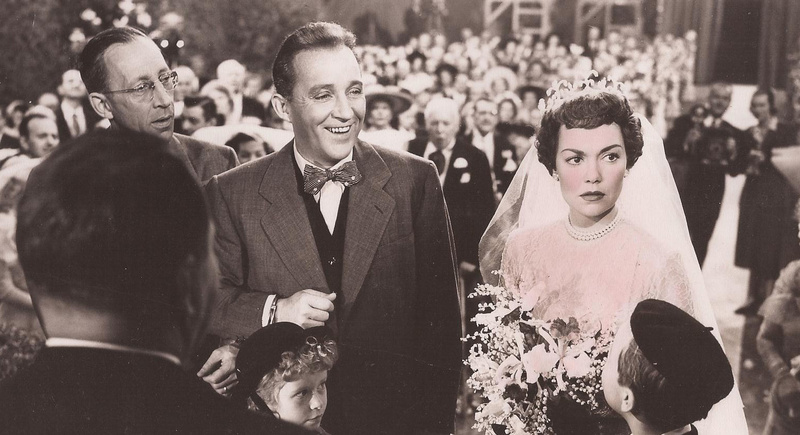 “Here Comes the Groom” plays Thursday at the Bing. The film, directed by Frank Capra (“Mr. Smith Goes to Washington,” “It’s a Wonderful Life”), stars Crosby as a newspaper reporter who must win back his former fiancée or lose custody of the two orphans he has adopted. The gathering will include birthday cake, coffee and punch, and a talk from Carol Capra, Frank Capra’s daughter-in-law. Carol Capra is on the advocates board, and will share remembrances of her legendary father-in-law. Cake will be served at 6 p.m. A selection of Crosby short films will be screened at 6:30 p.m., followed at 7 p.m. by “Here Comes the Groom.” Admission is a suggested donation of $5. The Bing Crosby Theater is located at 901 W. Sprague Ave. For more information, visit www.bingcrosbytheater advocates.org. Bonnie Raitt recently released “Slipstream,” her first album in seven years. Spokane fans will have the chance to hear her perform some of those tracks – and a few of her classics, too – when she comes to town over Labor Day weekend. Raitt will perform at the INB Performing Arts Center in Spokane on Sunday, Sept. 2. Tickets go on sale through TicketsWest at 10 a.m. Saturday. A scheduling conflict forced the cancellation of the Spokane Symphony’s Kick Back Classics concert scheduled for April 25 at Fairchild Air Force Base. In lieu of this concert, active duty and retired military members and their families are invited to attend either the Saturday or May 6 concerts at the Martin Woldson Theater at the Fox, free of change. Global Credit Union is underwriting the free military tickets; they are available at the Global branch on base, at the Fairchild public affairs office, or from the Spokane Symphony ticket office at the Fox, 1001 W. Sprague Ave. The weekend concerts, the symphony’s season finale, will feature Richard Strauss’ musical depiction of Miguel de Cervantes’ “Don Quixote.” The featured guest artist will be young cellist Joshua Roman, who will perform “Don Quixote” and Pyotr Ilyich Tchaikovsky’s Rococo Variations. Northwest Opera will kick off its second season with a production of “Die Fledermaus” (Act 2) beginning Saturday. Performances will be at 2 p.m. Saturday, and 7:30 p.m. May 11 and 12 at Bethlehem Lutheran Church, 2715 S. Ray St. The program is directed by Tim Campbell and will feature a number of songs from the Johann Strauss opera, as well as songs by Wolfgang Amadeus Mozart, Stephen Sondheim, Jacques Offenbach, PDQ Bach and others. Tickets are $10 and will be sold at the door or in advance by calling (509) 327-3598. The Spokane Jazz Orchestra will wrap up its season with “Downtown Divas,” featuring local jazz vocalists, on May 12 at the Bing Crosby Theater. Joining the SJO will be Rachel Bade-McMurphy, Nicole Lewis, Rachel Burns and Heather Villa. Burns, who is pursuing a master’s degree in music at Whitworth University, is a member of the Hot Club of Spokane and the Master Class Jazz Orchestra. Villa has been performing since she was 6 years old. She was a solo winner at the Lionel Hampton Jazz Festival at age 16. She now is the vocalist for the popular Spokane combo 6-Foot Swing. Bade-McMurphy studied at Washington State University with Horace Alexander Young. She released a CD in 2008, “The Unspoken,” and now performs with her group, RBMC Jazz Quartet. Lewis performed with SJO last year. She sings with her own group, the Nicole Lewis Band, and the Coeur d’Alene-based Rhythm Dawgs. The concert will begin at 8 p.m. at the Bing. Tickets are $23-$26.50 and are available through TicketsWest, (800) 325-SEAT or www.tickets west.com. Do you have an item for Spotlight? Send it to carolynl@ spokesman.com. Follow Lamberson on Twitter @clamberson.